An ideal weekend from Seoul, Jenju is one of Korea’s most fascinating medium-sized cities that has plenty to offer travellers of all types. An incredibly popular spot for domestic tourists, but relatively unknown outside of Korea, Jeonju is home to the nation’s most famous foods, historical neighbourhoods and creative communities. In 2012 the city was acknowledged by UNESCO for being an important City of Gastronomy thanks to its rich culinary legacy and influence on the food scene. Jeonju is so well known for is culinary prowess that many Koreans travel for hours just to eat here. If you’ve got a day or two up your sleeve and are looking for somewhere unique, but welcoming, a well-kept secret but an accessible tourist destination, look no further. 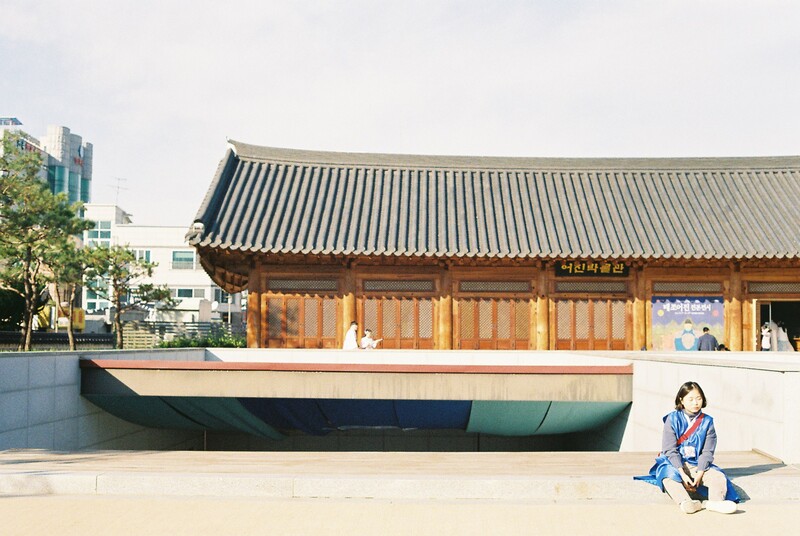 Jeonju is a city of juxtaposed cultural diversity, from the traditional hanok houses, the ramshackle vibrantly colored artists’ village, to the slick inner-city network of mega shopping centres, it’s almost like three cities blended into one. 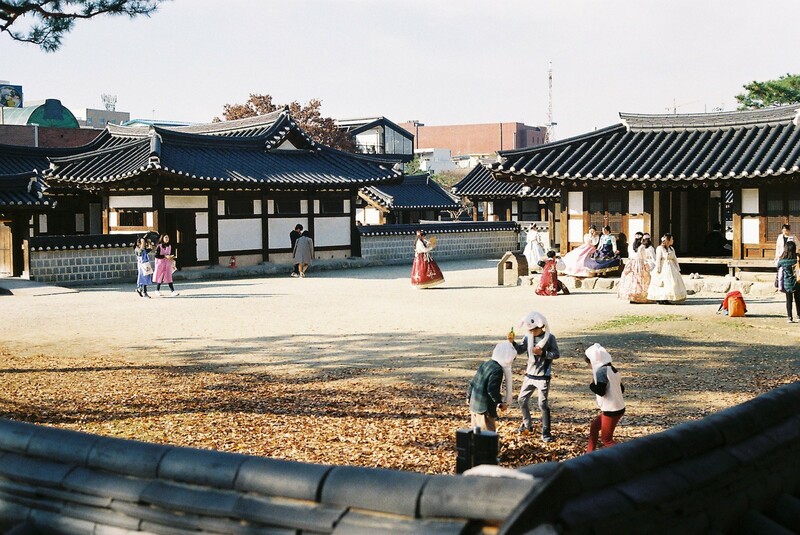 The first point of call for most visitors is Jeonju Hanok Village, a living breathing museum of over 800 traditional Korean hanok houses seemingly frozen in time. Incredibly popular with local tourists, this preserved corner of the city is bustling on the weekend full of out of town guests dressed in classic hanbok dresses, sampling the city’s best food and posting for an endless barrage of photographs. 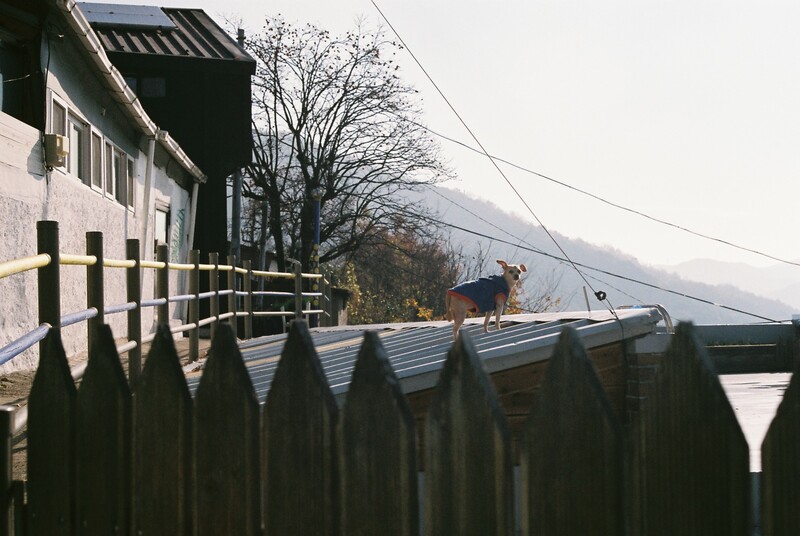 In this area, you’ll also find many repurposed hanok houses that now work as guesthouse style accommodations. 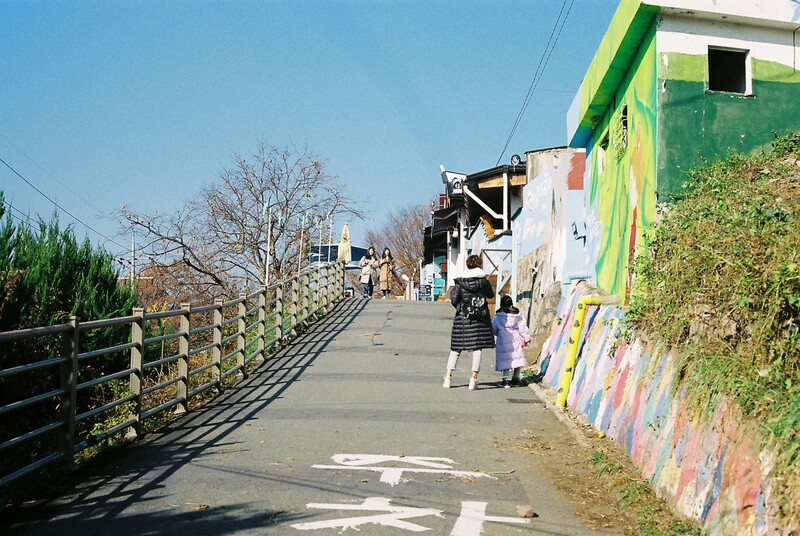 After you’ve explored the hanok quarter of the city, make your way up the neighbouring hill to explore the multi-coloured shantytown that is Jaman Mural Village, aka Artists Village. 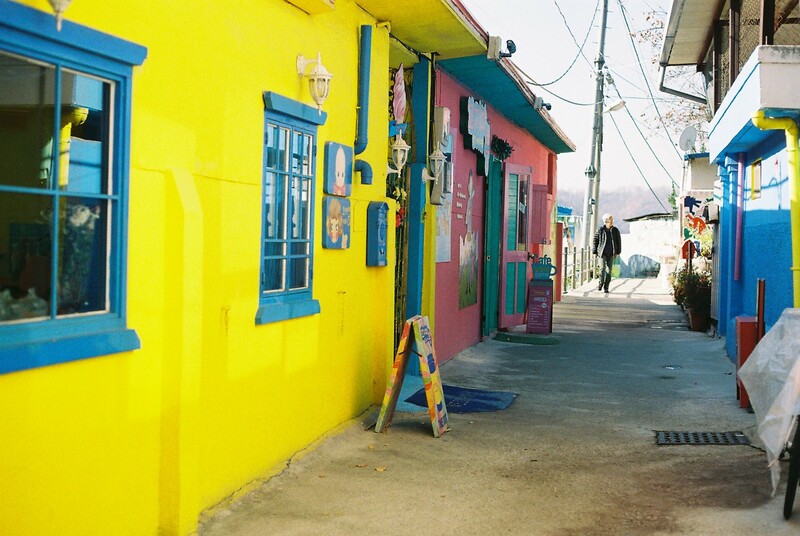 Rather peaceful compared to hanok village, Jaman Mural Village is home to a community of artists and cafe owners, craft stores and the occasional guesthouse. Covered from the footpath to roof in vibrant images, bold colours and the occasional celebrity portrait, this area is an immersive art gallery, an incredible place for a photo shoot, and the most unique backdrop for some time out with a masterfully-brewed coffee. Built along a rocky incline, it’s not the most accessible place to get to but conquering the climb makes the coffee all that sweeter. 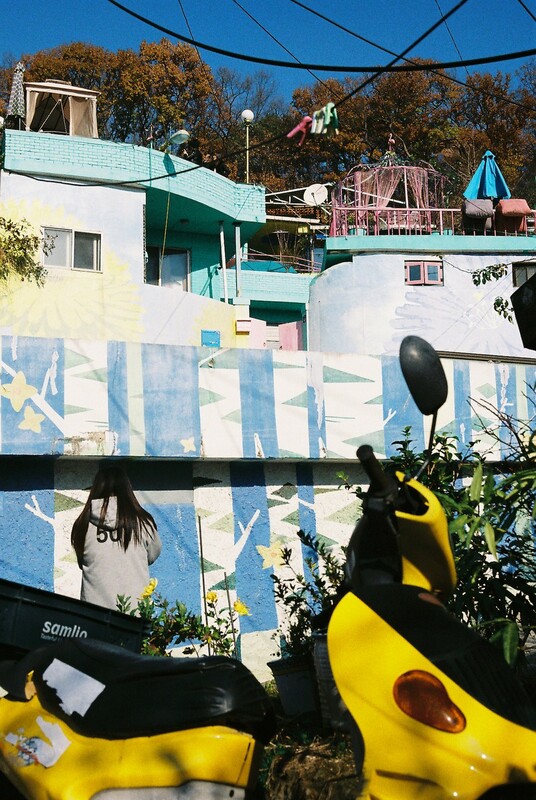 Not always such a lively hub of creativity, Jaman Mural Village was once what the locals would call a daldongnae ‘moon village’ named so because of its location, above the city, which some say offers a better view of the moon. Also seen in other areas of Korea including Suwon, Busan, and the capital of Seoul, daldongnae communities were home to refugees who squatted here following the Korean War. Artists were employed to paint the buildings as a way to beautify the cities and force people to rethink their assumptions around slums. 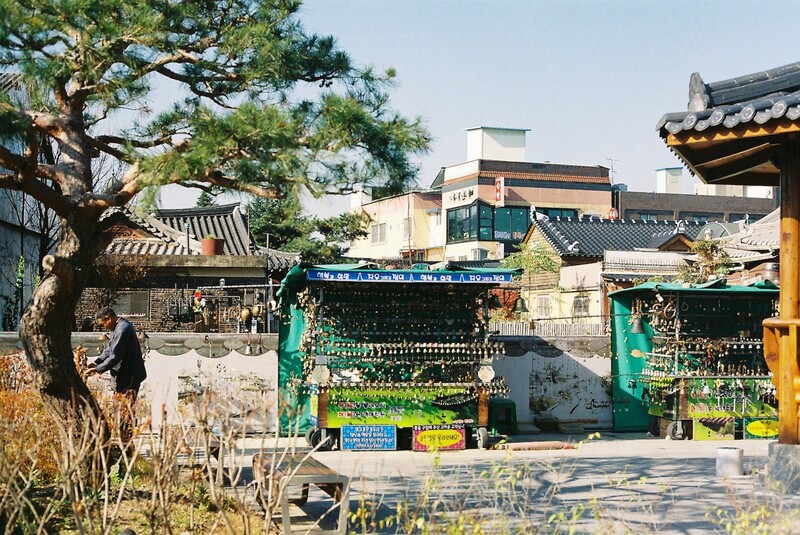 Jeonju is Korea’s foodie capital. It’s home to one of the nation’s most famous dishes, bibimbap (mixed rice) a hearty, but simple dish of-of perfectly balanced rice, kimchi, sautéed vegetables, meat and topped with an egg. In Jeonju, there’s no shortage of bibimbap restaurants, each offering a unique take on the dish and plenty of pickled sides. It’s said that this was once a royal snack, served to the king between meals. The dish’s adaptability meant that over time it was passed through the city’s generations and classes becoming a staple meal on the Jeonju menu rotation. For something a little sweeter, you can’t go past choco pie, the city’s most popular naughty snack. A signature item of the PNB Bakery chain, choco pie is a palm-sized cake-sandwich made from two chocolate cake filled with strawberry jam and buttercream and coated in a crisp layer of chocolate. 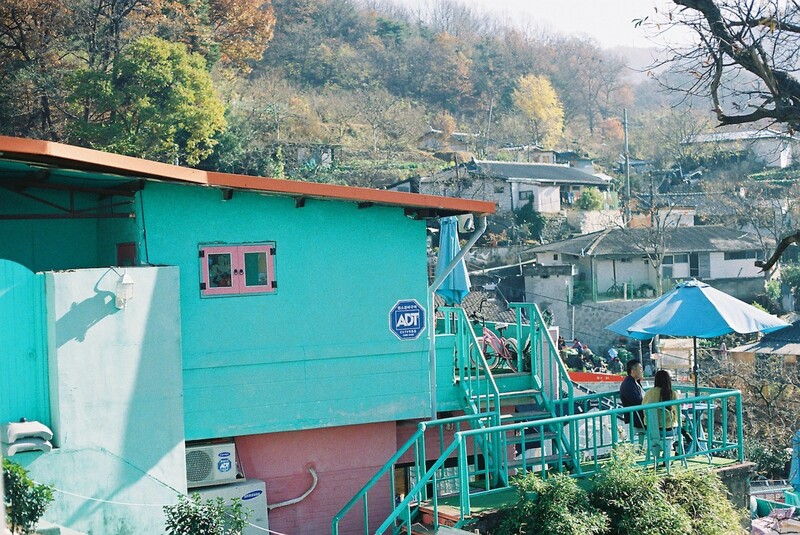 Just like in wider Korea, the people of Jeonju love to drink. Makgeolli, the milky, off-white, almost fizzy fermented rice beverage is the number one drink in town. Jeonju loves makgeolli so wholeheartedly that there are seven ‘makgeolli towns’ within the city, a strip of makgeolli bar clustered together. The makgeolli bar food and drink ordering system is rather unique. It’s almost like a more extravagant version of otoshi in a Japanese izakaya, food is served as like a complimentary option. Basically, you pay for the large copper kettles of makgeolli and food is free. The system is generous but can be a little dangerous, because if you want to eat more, you have to drink more. For those with a little sweet-tooth, keep a lookout for Jeonju moju, a unique local liquor made with herbs and cinnamon. A little less potent than original makgeolli, Jeonju moju is boiled down makgeolli that’s mixed with herbs like ginger, jujube, liquorice root, ginseng, arrowroot, and cinnamon powder until muddy brown. 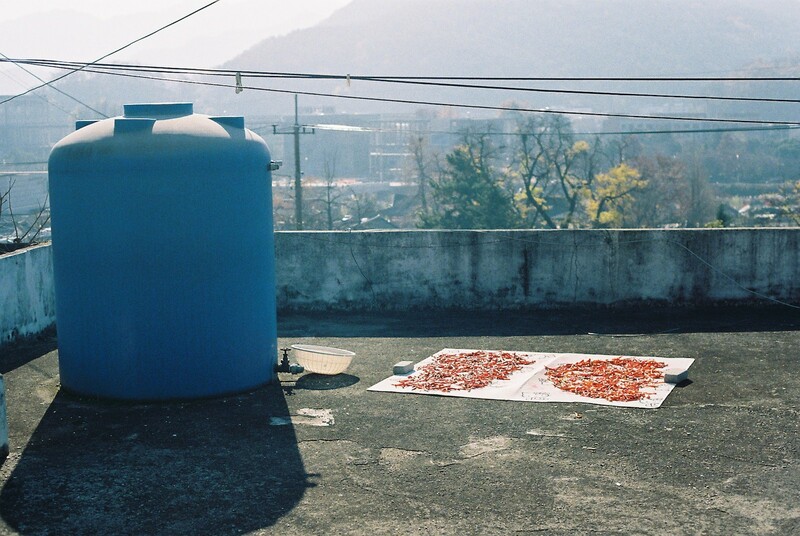 It doesn’t look fantastic, but it’s said to be rather medicinal, with locals claiming it prevents colds in the notoriously long and hard Korean winter. Also, it’s an excellent foray into the world of Korean fermented drinks for those who can’t really drink alcohol. From Seoul, the journey to Jeonju will take around three to four plus hours depending on the traffic. If you’re travelling by public transport, bus and train your options. If you’re looking to save money, go for the bus. Head to Express Bus Terminal subway station. At the Express Bus Terminal, you’ll find the ticket book, you can buy a ticket on the spot for around 14,000 – 18,700 KRW (1,800 yen) depending on the provider. 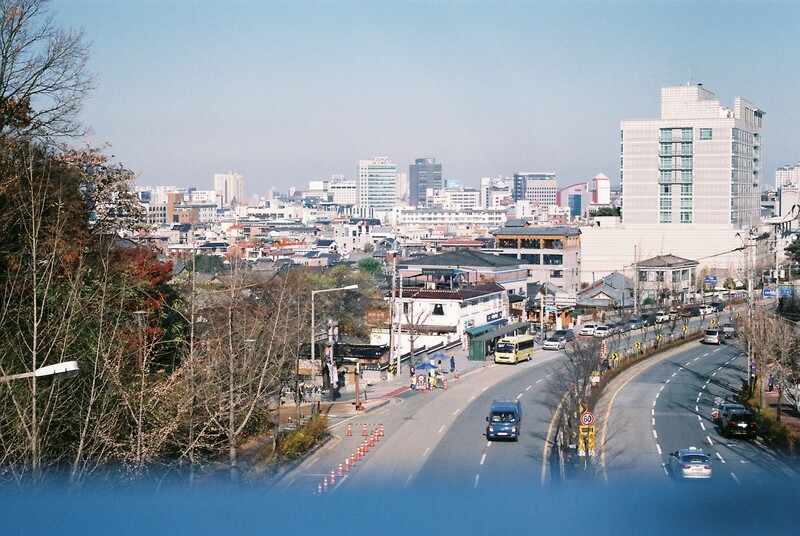 The bus will get you to the Jeonju Express Bus Terminal. If you’re more time poor, the train will be the best bet. Korea Train Express is the quickest way to get there, from Yongsan Station to Jeonju Station it takes about two and a half hours and costs 32,900 KRW (3,300 yen). If you’re an expert planner, Jeonju is a do-able day trip from Seoul, but be warned; once you get there you won’t want to leave!